Englewood, Colo. – (July 18, 2017) – A group of sportsmen and women living with various levels of spinal cord and traumatic brain injury recently participated in a five-day adaptive fly fishing camp hosted by three organizations that serve athletes with disabilities: Access Unlimited, High Fives Foundation and the Craig Hospital Adventure Program. The 2017 Adaptive Fishing trip took place from June 14 to 18, at the Silver Bow Lodge in Divide, Montana. The organizations provided access to local guides and adaptive fishing equipment, including boats and specialized fly fishing rods, as well as Action TrackChairs to help people get as close to the river as possible, and even stand to fish. Participants also had the opportunity to take a helicopter tour and learn shooting skills. This is the 2nd annual trip hosted by the three nonprofit organizations. Five of the people who joined this trip are graduates of Craig Hospital’s rehabilitation programs. Craig, which specializes in rehabilitation for people who have sustained spinal cord and traumatic brain injury, strongly emphasizes a return to recreational and leisure activity as an integral part of recovery. Video of the trip, created in collaboration with GoPro, can be seen at https://vimeo.com/225758467. 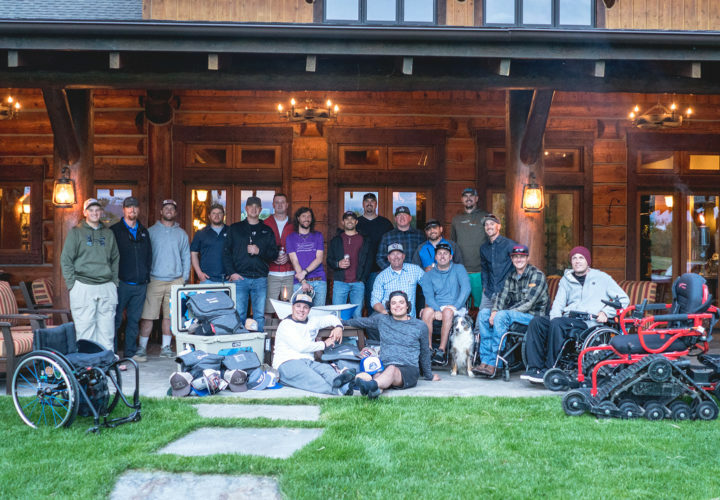 The 2017 Adaptive Fishing trip was made possible by numerous sponsors, including: Big Agnes, bigtruck brand, Darn Tough Vermont Socks, GoPro, Grundéns, Hiball Energy, Kind Design, Lone Mountain Printing, Phunkshun Wear, Rumpl, Smith, Tahoe Trail Bar, Vapur, YETI, and zealios. The High Fives Foundation is a Tahoe-based, national 501.c.3 non-profit organization. The High Fives Foundation supports the dreams of mountain action sports athletes by raising injury prevention awareness while providing resources and inspiration to those who suffer life-altering injuries. Formed as a way to "pay-it-forward" by the founder from his own recovery to help injured athletes, the Foundation has helped 159 athletes to date since its inception in 2009. For more information visit www.highfivesfoundation.org/.